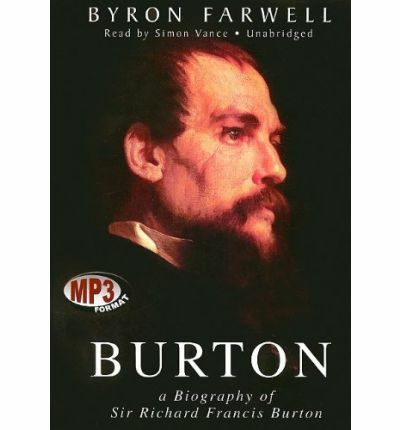 Explorer and inventor, soldier and poet, archaeologist and diplomat, Richard Francis Burton (18211890) was the most remarkable man of his age. Farwell brilliantly recreates his versatile achievements. Note: This Audio Book is in mp3-CD formatting. This signifies it will only play on a cd player particularly set up to run mp3-CDs. It also can be installed onto a computer and cloned over to an assortment of mp3 players and played on them.